We are London financial advisers (ifas) in SW1. 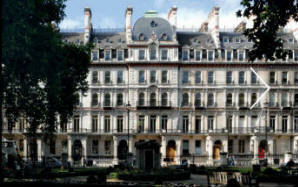 The London Victoria office is at 42-44 Grosvenor Gardens (offices of True Potential LLP which they kindly let us share), overlooking the small park, very close to Victoria train, bus & tube station. For investments, pensions and retirement, insurances, IHT tax planning, please join us at SW1W 0EB. Devine Financial Management – Independent Financial Advisers SW1.